This Kubota Bit and Driver Set is made to get the job done. Designed with a comfort grip handle and constructed of heavy duty steel. Ideal pocket sized tool. Includes: 32 pieces. 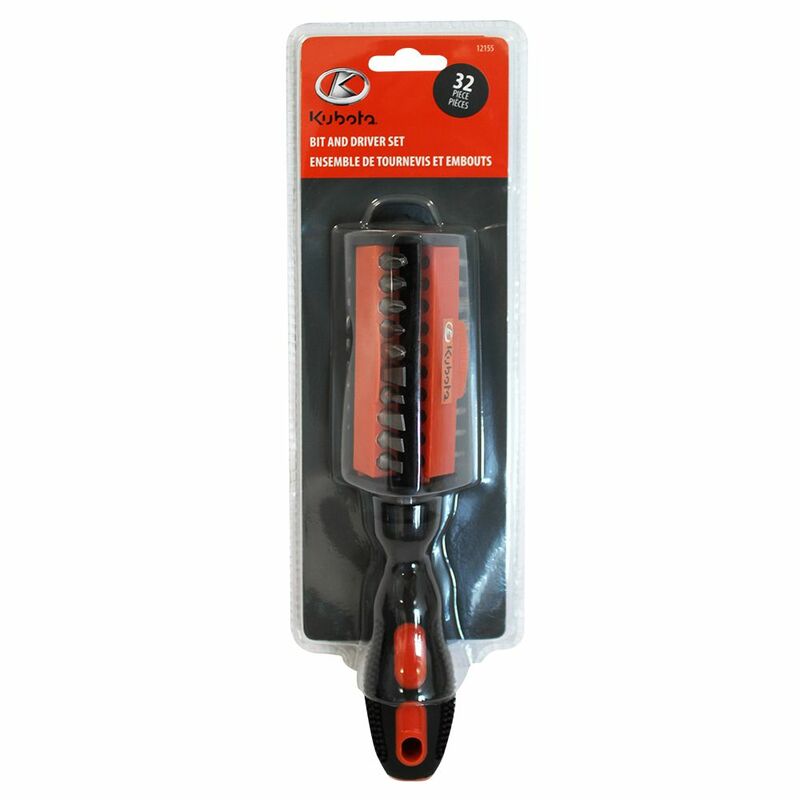 BLACK+DECKER 4V Roto-Bit Storage Screwdriver will allow you to stop fumbling for bits. On-board eight-bit storage plus long-lasting lithium power keeps it all ready and at your fingertips. ROTO-BIT keeps bits right where you need them, so every screwdriving task is quicker and easier. From assembling furniture and toys to hanging photos on your walls, on-board bit storage plus cordless convenience help you finish in a flash. The screwdrivers in this HDX 6-piece set are perfect for small projects that require precision and up-close, delicate work. Each tool is handy for fastening screws on electronics gadgets and trinkets in addition to other tasks involving small objects. 32 pc Bit and Driver Set This Kubota Bit and Driver Set is made to get the job done. Designed with a comfort grip handle and constructed of heavy duty steel. Ideal pocket sized tool. Includes: 32 pieces.